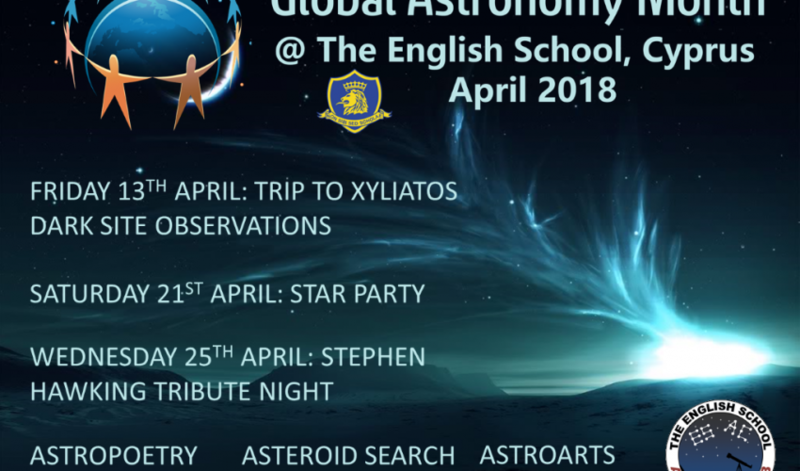 The English School is participating in Global Astronomy Month 2018, with many fun and interesting events. Spanning the month of April Global Astronomy Month is the world's largest global celebration of astronomy and brings new ideas and new opportunities, and enthusiasts together worldwide to celebrate Astronomers Without Borders' motto One People, One Sky. Contact Ms Katie Demetriou, or a member of the Astronomy Club for further details.